This is the 2006 picture, it's also the cover design for manga volume 6. It's very original :) and the resolution is quite awesome! Watanuki I must say that you are a superlucky guy. Having the chance to work for such a hot babe. Thanks for sharing this nice scan with us. 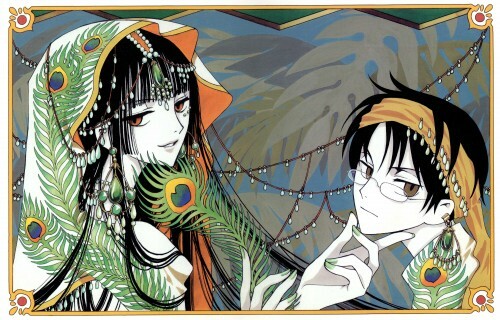 xxxHolic is one of my favorite Mangas from clamp. Which month is this one from? 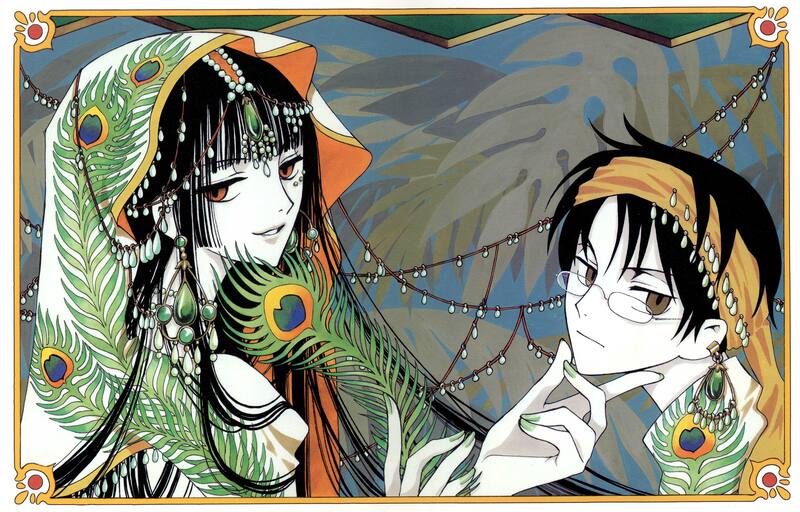 those two is looks so good.. watanuki number one! They look really cute in those oriental outfits. yuuko sure loves teasing watanuki. thanks for sharing! I absolutely adore Yuko's head-dress. I want one of those too. This is just a guess, but I think these costumes are supposed to be based on the arabian culture. as usual a beautiful pic! awee! so cuteeeee! ? thanks! Awesome image and great style.